Disgustingly, Eric Hovind (Dr. Kent Hovind's son) on his FaceBook account has been begging in a video since March 26, 2013 for $600,000 for their “ministry,” named CreationToday. Even sadder is that people are sending Hovind money. At one time I was one of Dr. Kent Hovind's biggest fans, but over time I have come to see Mr. Hovind as a shyster, who exploits Christianity to make a buck. Many people feel that Dr. Hovind was wrongfully convicted and imprisoned by the government for spending his own money. First, dirty crooks like Benny Hinn, and countless others, don't pay any taxes, because they claim to be “non-profit.” What a misnomer! These con men often pay $10,000 per night for lavish hotel rooms, with money that was allegedly given to God's work! Scumbag Benny Hinn takes in $100,000,000 each year! Hinn has a personal net worth of $40 million! What an evil deceiver! Dr. Hovind's big mistake (in the eyes of the state of Florida), from my understanding, is that he refused to apply for a 501c3 state license which would have made him tax-exempt. I think it is wrong and evil for the government to require preachers to take a license, knowing that it goes against their faith! I think it is wrong that the state prosecuted Kent Hovind, while sanctioning con men galore who exploit Christianity for money! Second, and this is what bothers me the most, guys like Kent Hovind exploit Christianity for money. I realize that people have a right to throw money at anyone they want, and it is legal (if done legally). If people want to donate millions of dollars to Kent Hovind, then that is his and their right! However, that doesn't make it ethical or Christian! The Young Earth Creation business is ungodly in my humble opinion. These men take advantage of the popularity of the hoax of evolution, and the hoax of a Young Earth Creation, making tons of money off it! The big problem is that the Bible teaches “the love of money is the root of all evil” (1st Timothy 6:10). I have a problem with a professed Christian who pays himself a 6-digit salary from exploiting Christianity to make a buck. That is not what the New Testament Church is about! Furthermore, Dr. Hovind's Dinosaur Adventure Land (DAL) in Alabama is a farce. The joke of a park posts warning signs that if visitors get injured, the DAL owners are not responsible. That is not a good thing! God never called anyone to have a dinosaur ministry! Ken Ham's farce in Kentucky, called the Noah's Ark Encounter is projected to generate $4 billion over the next 10 years! What a mockery of the Lord's words in Matthew 27:37-39. I am disgusted that Eric Hovind is trying to sell God, begging for a ridiculous sum of money like the greedy televangelists do. I'm tired of professed Christians begging like greedy dogs, so that their so-called “ministry” can continue. What a joke! Isaiah 56:11, “Yea, they are greedy dogs which can never have enough, and they are shepherds that cannot understand: they all look to their own way, every one for his gain, from his quarter.” A genuine man of God is concerned about proclaiming the truth, not getting rich. There are legitimate Christian ministries all across America that operate on virtually nothing financially, literally. The Young Earth money-making racket rake in big bucks. Increasingly, more greedy dogs are jumping on the bandwagon to share in the filthy lucre. CreationToday is correct in their oppositions to the heresy of Evolution, but they are wrong in their support of Young Earth Creationism. By using their opposition of Evolution as a crutch to bolster up their heresy of a Young Earth, it effectively confuses everybody and unknowingly, dishonestly and wickedly leads multitudes to mindlessly believe the Young Earth Creationism heresy. Proponents of a Young Earth are often unscholarly, uneducated and dishonest, trying to label Old Earthers as Evolutionists, Unfortunately, this makes it mush easier now for Young Earthers to deceive people, because now they can use legitimate science (which effectively disproves the blatant lies of Evolution) to dishonestly shatter everyone's faith in the Old Earth principle. Young Earth advocates use unscholarly methods to deceive people. In other words, the principle of an Old Earth has absolutely NOTHING to do with the lies of Evolution. Legitimate science supports an Old Earth principle. In sharp contrast, only false science and absurd exaggerations and conclusions can be used to come up with even a plausible working thesis of how a Young Earth Creation might have happened. To be an honest and successful student, you MUST separate Old Earth Creationism completely from the bogus theories of manmade Evolution. They are two totally different things. I am not an Evolutionist (that is, there's a Big Bang without God and then the universe evolves on it's own). I DON'T believe in Theistic Evolution either (that is, God creates everything and then it evolves by God's power). I believe that God created the earth at least tens-of-millions of years ago, perhaps billions. Mankind did NOT exist at this time. The angels and the dinosaurs lived upon the earth. The angels are slightly greater than man the Bible says, so perhaps they had bigger pets and sported with the dinosaurs, hunting them. That's just my opinion. I wouldn't argue the point. I will argue an Old Earth Creation though, in favor of it. There's no way that dinosaurs boarded the Ark with Noah's loving family. Dinosaurs are meat-eating, predators, killers. That's why they didn't co-exist with man. Dinosaurs DID co-exist with the angels and Lucifer here on earth, before they fell and chose to go into sin. Young Earthers have no strong argument to prove their bizarre claims of a Young Earth. So what they maliciously do is find something that does have an ample amount of information to prove wrong, such as Evolution. So by overlaying Evolution over an Old Earth Creation, they now can use all the attacks against Evolutionists, to use against Old Earthers, based upon the totally WRONG presumption that everyone who believes in Old Earth Creationism is an Evolutionist!!! It's simply not true. Most Old Earth advocates DON'T buy into the bogus lies of Evolution, or false science. The human race is about 6,000 years old and DIDN'T exist prior to mankind's creation in Genesis. The human race is very YOUNG (only 6,000 years since Adam in the Garden of Eden). Evolution is a massive fraud from beginning to end, which attempts to remove God from children's lives. Teaching that the earth is Young contradicts legitimate science. Science and dinosaurs evidence an old earth. Believing in an Old Earth is in perfect harmony with the Word of God and the Creation account of Genesis (God remodeled the earth in Genesis to make it inhabitable once again, but this time for humanity, not the angels). There is absolutely NO credible evidence to support a Young Earth Creation hypothesis! Ridiculously claiming that dinosaurs lived 5,000 years ago drives unsaved people away from the Gospel. During the first two thirds of the twentieth century, during which most Christian fundamentalists accepted the existence of long geological ages, the leading voice arguing for the recent creation of life on earth in six literal days was George McCready Price (1870-1963), a scientifically self-taught creationist and teacher. Born and reared in the Maritime Provinces of Canada, Price as a youth joined the Seventh-day Adventists, a small religious group founded and still led by a prophetess named Ellen G. White, whom Adventists regarded as being divinely inspired. Following one of her trance-like "visions" White claimed actually to have witnessed the Creation, which occurred in a literal week. She also taught that Noah’s flood had sculpted the surface of the earth, burying the plants and animals found in the fossil record, and that the Christian Sabbath should be celebrated on Saturday rather than Sunday, as a memorial of a six-day creation. Shortly after the turn of the century Price dedicated his life to a scientific defense of White’s version of earth history: the creation of all life on earth no more than about 6,000 years ago and a global deluge over 2,000 years before the birth of Christ that had deposited most of the fossil-bearing rocks. Convinced that theories of organic evolution rested primarily on the notion of geological ages, Price aimed his strongest artillery at the geological foundation rather than at the biological superstructure. For a decade and a half Price’s writings circulated mainly among his coreligionists, but by the late 1910s he was increasingly reaching non-Adventist audiences. In 1926, at the height of the antievolution crusade, the journal Science described Price as "the principal scientific authority of the Fundamentalists. That he was, but with a twist. Although virtually all of the leading antievolutionists of the day, including William Jennings Bryan at the Scopes trial, lauded Price’s critique of evolution, none of them saw any biblical reason to abandon belief in the antiquity of life on earth for what Price called "flood geology." Not until the 1970s did Price’s views, rechristened "creation science," become fundamentalist orthodoxy. Not surprisingly, Seventh-Day Adventists (SDA's) are the biggest promoters of a Young Earth heresy today. 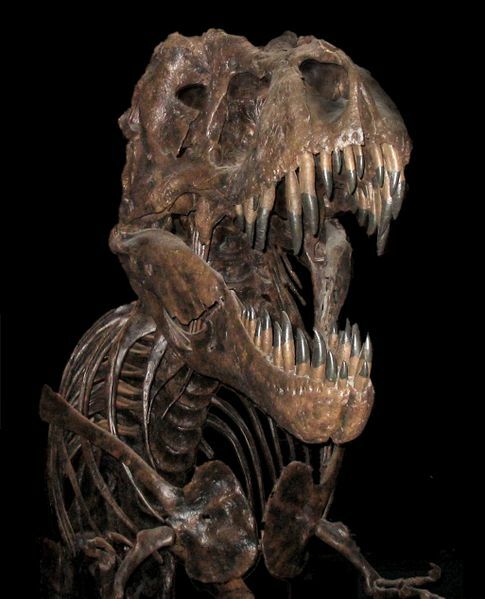 The Young Earth heresy claims that dinosaurs co-existed with mankind. Some advocates of a Young Earth say that the dinosaurs were left behind and not brought on the Ark. Dr. John R. Rice (1895-1980) taught this. Brother Rice is a great man of God and theologian, but he was wrong on a Young Earth. Then there are those Young Earth advocates who believe that dinosaurs were taken aboard the Ark with Noah. Ken Ham, Henry Morris III, Kent and Eric Hovind teach this heresy. For many commonsense, scientific, historical and theological reasons, there is no possible way that the 1,466 known species of dinosaurs (of which 1,080 are considered valid) were taken aboard the Ark, nor could they have co-existed with mankind in Genesis. Due to age differences, et cetera, some dinosaur species ended up being counted twice. There are 1,080 unique genera of dinosaurs. Henry Morris III claims there are only 55 species, to support his heresy that Noah took dinosaurs onboard the Ark. Proponents of a Youth Earth grasp for straws in desperation to prove their Young Heresy heresy.